There are new features released under 2.2.0.We highly recommend using Shopizer 2.2.0 for your project. With the latest 2.0.5 release, Shopizer team has done a number of changes including migrating to Spring Boot ( 2.0.5 is based on Spring Boot 1.3.5 ). Please read Shopizer 2.0.5 for more details. 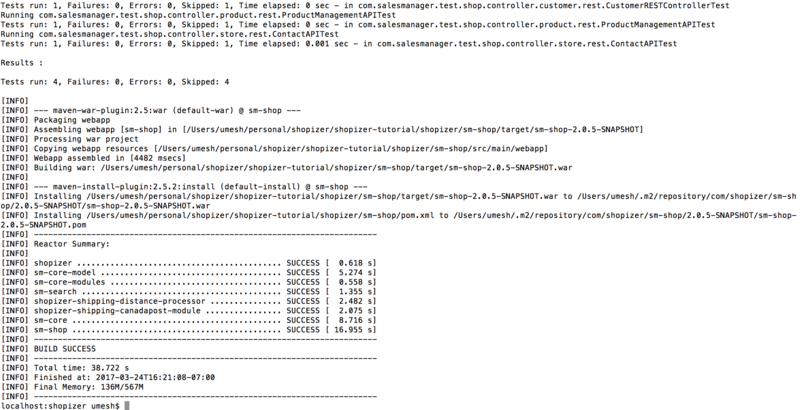 In this post, I will try to give you an overview to Build and Run Shopizer 2.0.5 on your local machine. 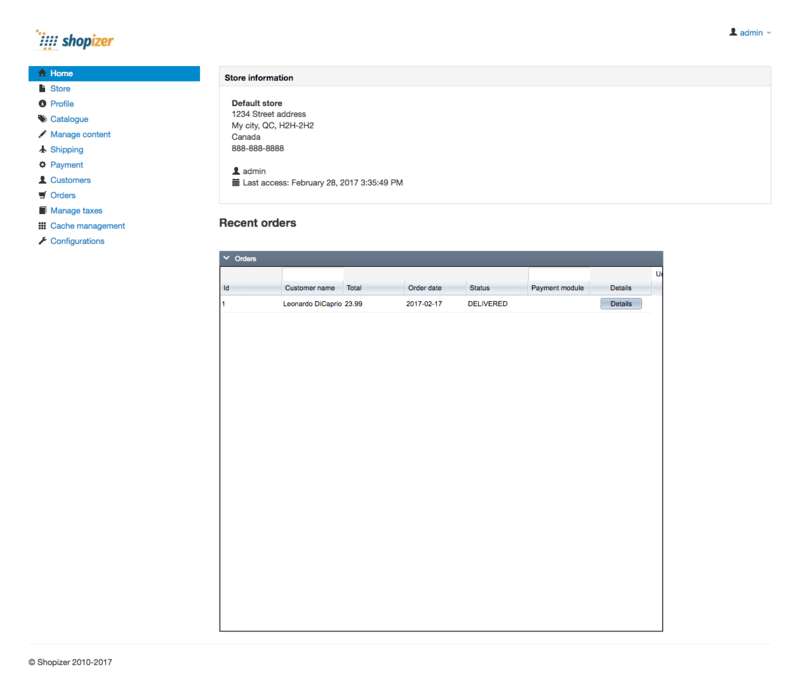 Shopizer comes with a predefined demo DB which can be used out of the box to run demo application. OS name: "mac os x", version: "10.12.3", arch: "x86_64", family: "mac"
Spring boot provides embedded support for Tomcat 8, which mean you don’t need standalone Tomcat to run your application. When you run your application, Spring Boot will detect that you have a Spring MVC controller and start up an embedded Apache Tomcat 8 instance, by default. I hope this will help you to set up and run default OOTB Shopizer 2.0.5. Let me know in case you have any questions or comments. In our next post, we will cover how to set up the development environment for Shopizer using IntelliJ IDEA’s. I am still getting this issue even when running mvn spring-boot:run in sm-shop. I cant seem to find a solution. This can only happen if you are not in the sm-shop module and running from the main folder. do you have any full development test data to configure multiple shops, multiple languages include multiple currencies. please direct me if there is any admin console page that i can configure rather than setting up in database. No, sample store data contains information only for 1 store, This is a good suggestion and we can plan to add it in future releases. I managed to create a new store from admin panel. 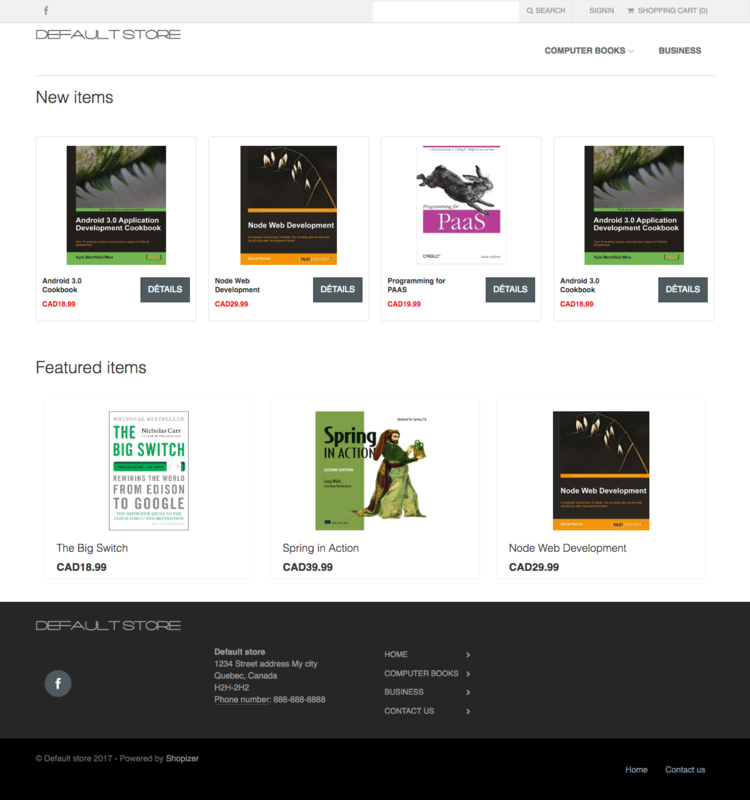 but can not able to invoke the url of the new store, it showing me a blank page and cant able to map products and pages. could you please assist me to configure multiple stores.